Singer songwriter, born in Hiroshima, Japan. Mika, as a live artist, has been pursuing a solo career as a songwriter who sings with the piano. She has been performing across Japan with a focus in Tokyo, and also touring overseas, especially in Europe. Animation: “Kabaneri of the Iron Fortress”, “Attack on Titan(Giant of Advance)”, “Gundam UC”, “Aldnoah Zero” etc. Game: “FINAL FANTASY XI”, “XenobladeX” etc. She established her own independent label “miccabose” in 2016, despite the fact that, after many years of experience, she had realized the life of a freelance artist is a difficult one. She chose to continue on this thorny path. Mika started to learn to play the piano when she was young, but she grew to be more passionate about acting and was more interested in acting when she was an elementary school student. In her 5th grade, she performed a monologue for the first time in front of all the students at her elementary school. When she was in high school, she loved singing so much that she created a music band. This led her to a decision to pursue a career as a singer. 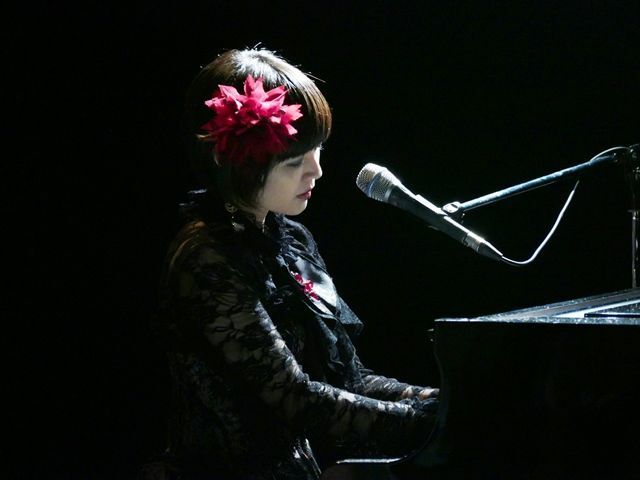 She moved to Tokyo at the age of 18 and started to compose songs. However, she immersed herself in dancing for a few years since the dance craze was booming in Japan at the time. Naturally, she became a singer/ songwriter who can dance with backing dancers. When Mika was 22 years old, she was awarded a grand prize at a vocal audition with over 1000 applicants. However, she started to receive requests from people in the music industry to create a type of songs which did not match her taste. That is when she began to question whether that was really what she wanted to do. After some twists and turns, she finally found her own style as a singer and songwriter. Then at the age of 25, she started the music career which better reflects her core-self. It can be said this is when her real music activities actually began. Having felt that she went the long way around to reach this point, she felt an urge to create something original based on her personal experiences. She started to create a stage performance combining “Acting and Music”, collaborating with performers and actors she believed presented high-grade performance. She has been also taking on a challenge to visualize “Mika Kobayashi’s music”. She performed in her work “Itoguruma (Spinning Wheel)” in Italy, in which an actress performs as a doll. Almost all the audience stayed to the end of her performance and gave her a standing ovation, despite the fact Italy is where reviewers are known for their harsh comments, and that audiences usually leave a venue if they feel the performance is not worth watching. That is when Mika realized her expression style can convey her messages even in a foreign country. Since then, she has been integrating her stage performance with her own narration and images on a screen, based on her album concept whenever a new one is released. More and more people are becoming her fans every year and look forward to her new works. Mika performed in the annually-held performance “Kaiseki Series” in Japan and the annual performance “SAMURAI SPIRIT” overseas, both of which were conducted in collaboration with Samurai Sword Artist Kengishu KAMUI. They were both extrememly successful. The performances were put on at “Blue Note Jazz’s Hall of Fame” in Poland, and the “Hermitage Museum” in Russia, the 3rd biggest museum in the world. For these performances, not only were all the seats were filled, but also they received a thunderous standing ovation. She is planning to continue to put on the performance with KAMUI in various countries. The show “Uta Katana Sekai”, in which Mika and Kengishu KAMUI performed together for the first time in a long time, served as a compilation of their works. It became such a big hit that the show was repeated. In the field of pop culture, Mika is known for singing theme songs of many popular animated TV programs and movies. She also has been putting on live performances in foreign countries and participating in annual events, mostly animation related ones. She has a reputation for her unique staging style, integrating her dancing and acting experiences. She is talented in creating various stages relevant to the theme of an event. 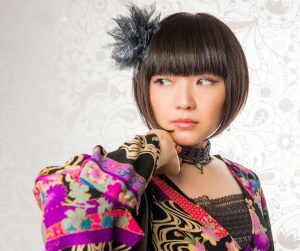 Her goal is to continue to express herself as “Mika Kobayashi”, collaborating with a wide variety of artists, such as visual creators, photographers, musicians, and performers.